The Oromia regional State president Alemayehu Atomsa, who has been unwell for the past three years, announced that he is resigning his position, effective February 18. The 45-year-old Alemayehu, who has served as chair of the Oromo People’s Democratic Organization (OPDO), a part of the ruling coalition, and the presidency of the region since September 6, 2010, had handed a resignation letter to the party, which accepted it ‘with regret and respect’. His first resignation letter to the then prime Minster Meles Zenawi three years ago has been rejected. It is not clear who will succeed him, but the OPDO appears to favor the vice president, Abdulaziz Mohamed, as acting president. The departing president has made some good reputation for his strong stance towards tackling corruption which is said to be widespread in the region, though ill-health continued to dog him. Falling ill just months after taking the position of presidency due to a food poisoning, Alemayehu found it hard to effectively undertake his duties and in the past year he had virtually withdrawn from public life. “A simple and modest man,” Negaso Gidada describes him. “He has integrity. He has a respect for others and values his work,” adds the former chairman of OPDO and president of Ethiopia. “He is a quiet person. But not a type afraid to voice his opinions in meetings and discussions. He is open for suggestions and criticism,” Negaso says. Born into a Protestant family in Sere village of Eastern Welega, Alemayehu rose from a humble background to become one of the most powerful politicians within the ruling party. After being surrendered by TPLF army towards the end of the 80’s, he threw himself into politics when he was recruited to be a cadre. 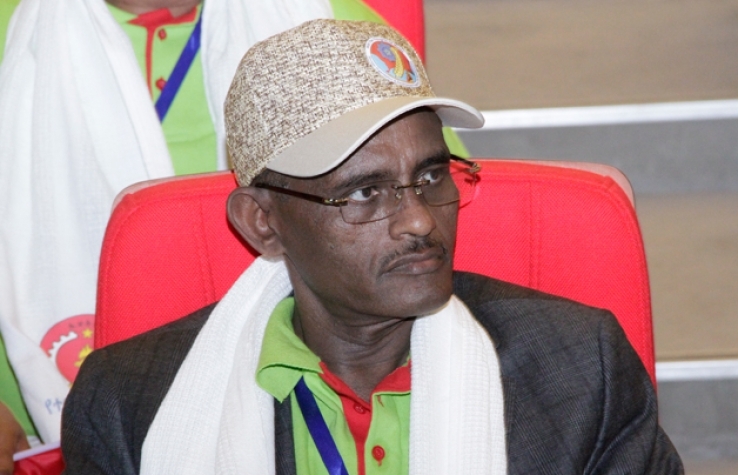 He was one of the participants in the OPDO founding conference in 1990 in Dera town and was one of the authors of the party’s constitution.He was also one of the OPDO cadres who defended the late prime minster Meles Zenawi during the 1993 split of the Tigrayan People’s Liberation Front who later had rewarded him with a succession of posts. One of his first important post was when he took up a post in the information bureau of the Oromia region and later becoming a general manager of Ethiopian Radio and Television Agency. He earned a law degree and a master’s degree in public policy from the Ethiopian civil service college and the Beijing University respectively. He was elected member of the region’s council in 2009 and he became president of the Oromia regional state after a year. OPDO is often criticized for not meeting the aspirations the Oromos for greater recognition and better representation in politics and society in present Ethiopia. He is one of the few who lives for others and for justice. Such kind of people are not liked by bulks who usually lives a selfish and corrupt life! !